Choosing the right type of vinyl flooring for your home or business involves a lot more than selecting the best looking product. Durability, moisture, costs, and much more, all significantly influence your decision. Is a vinyl floor in your future? Keep reading to find out more about the top rated vinyl flooring options and products available today. If you’ve been longing to brighten up your room at a low-cost, start with Achmin Home Furnishings Vinyl Tile. With over 20 affordable styles to choose from, this accessible brand will have you dreaming of your next home renovation project in no time. 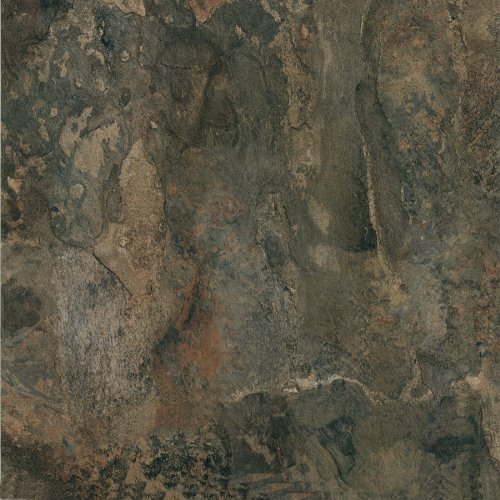 Nexus Vinyl Tiles Achmin Home Furnishings is one of the quickest and most affordable ways to upgrade a room. 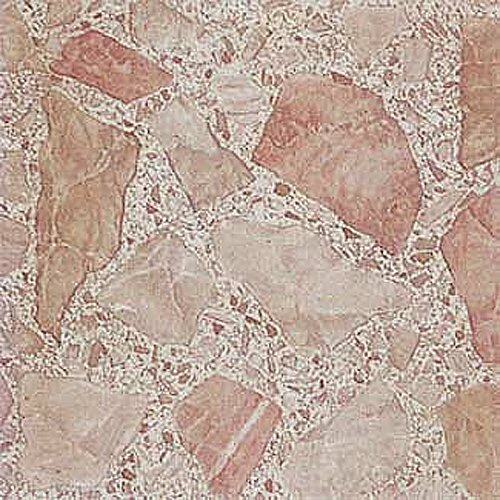 This vinyl tile has over 20 styles to choose from and is even easier to install. Just peel and stick to a dry, flat surface for a room that is ready to show off to your family, friends, and neighbors. Choose from various marble surfaces and enjoy a limited five-year warranty with this durable purchase. 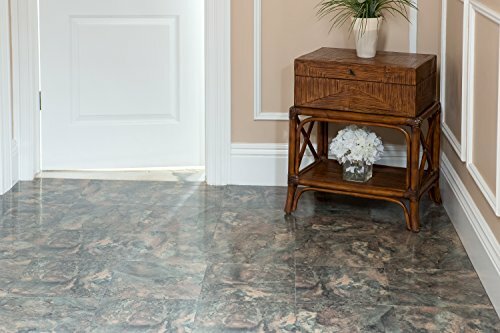 What's to like about Achmin Home Furnishings Nexus Vinyl Tile? These vinyl tiles have a high gloss look and are extremely easy to cut. They do not have a strong smell and the adhesive is strong enough to stick to a variety of surfaces. Plus, they look great and are easy to clean. What's not to like about Achmin Home Furnishings Nexus Vinyl Tile? Nexus Vinyl Tiles by Achmin Home Furnishings are on the thinner side and have trouble sticking to the floor. You may need a second adhesive for high-traffic areas. Colors arrived a bit more vibrant than described and are HIGHLY glossy. They are almost a little too glossy to mimic real wood or marble. The product is constructed from the chemical DEHP, which is a toxic chemical. Due to environmental safety regulations I would caution against using this product in areas that come in contact with children and pets. Vinyl Flooring by Home Dynamix offers an easy to install self-adhesive tile at a fraction of the cost. With a proprietary, no wax finish, clean up is completely hassle-free. These highly durable tiles are made with heavier duty materials and absolutely no stains, buffing or wax. Each box contains 20 self-adhesive tiles that cover up to 20 square feet. Actual tile size is 12" x 12". Vinyl Flooring by Home Dynamix offers an easy to install self-adhesive tile at a fraction of the cost. With a proprietary, no wax finish, clean up is completely hassle-free. These highly durable tiles are made with heavier duty materials and absolutely no stains, buffing or wax. Each box contains 20 self-adhesive tiles that cover up to 20 square feet. Actual tile size is 12" x 12". 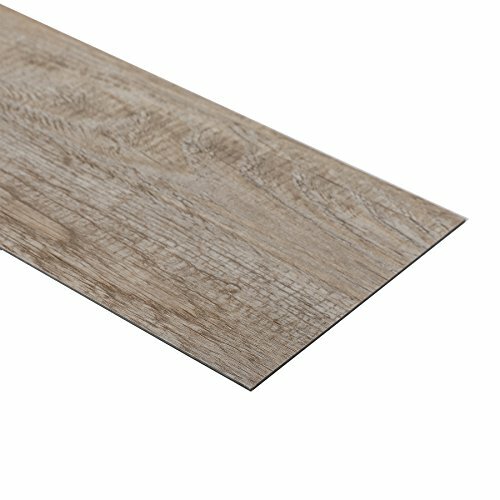 What's to like about Home Dynamix Vinyl Flooring? This vinyl tile option mimics that of stone. It looks great and holds true to claims of durability. At such a great price for a 20 piece package, this vinyl flooring solution is as affordable as it is attractive. What's not to like about Home Dynamix Vinyl Flooring? While this is a beautiful tile, I’d love if it offered a bit more regarding durability. This vinyl tile has no mention of being moisture or fire resistant, something that its closest competitors have. Get ready to spruce up your home, business, or office space with rock-bottom prices on vinyl wood planks by the favorite Achim Home brand. This vinyl solution is easy to install and is even easier on the eyes. Another popular creation by Achmin Home Furnishings, these vinyl planks offer a simple and easy to use DIY peel and stick installation. Looking and feeling just like natural wood, this flooring solution provides the perfect plank size (6" x 36") for your faux wood installation. 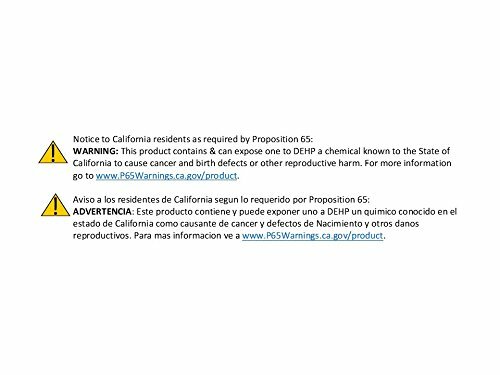 The product complies with all environmental guidelines and safety requirements, including proposition 65 chemical concentrations - meaning that DIDP, DNHP, DBP, BBP, and DEP, all rate as non-detected. What's to like about Achim Home Furnishings Vinyl Planks? First and foremost, we like that this product has taken considerable measures to meet environmental safety guidelines, a complaint that we had with their tile products. This faux wood vinyl does look and feel like natural wood. With an easy DIY stick and peel installation, even the most inexperienced homeowners have what it takes for a successful floor renovation. What's not to like about Achim Home Furnishings Vinyl Planks? I was a little disappointed in the lack of color options available, as this product only comes in one wood grade shade and finish. There is also no mention of how this vinyl stands up to moisture and fire, two components that are essential in a vinyl flooring solution. 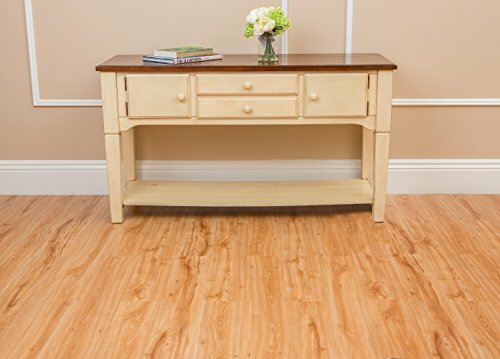 Vinyl floor planks should not only look like real wood, they should also be as sturdy as real wood too. Looking for a flooring solution with the ultimate resistance to wear and tear? Then you are going to want to explore what CO-Z Adhesive Vinyl Floor Planks have to offer. CO-Z Adhesive Vinyl Floor Planks are crafted from premium vinyl. Not only are they fire and water resistant, but they are also mold, wear, and damp-proof. Perfect for decorating kitchens, living rooms, laundry rooms, bathrooms, and more, this DIY flooring solution is super easy to install. Just peel and stick, and you are good to go. At 2 mm thick, this vinyl flooring solution outperforms the competition. 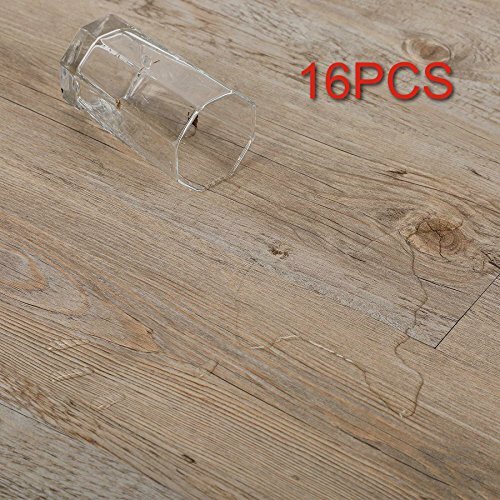 What's to like about CO-Z Adhesive Vinyl Floor Planks? I love that these CO-Z Adhesive Vinyl Floor Planks are fire and water resistant. In addition to being super easy to install, this flooring solution is also durable and made to last. 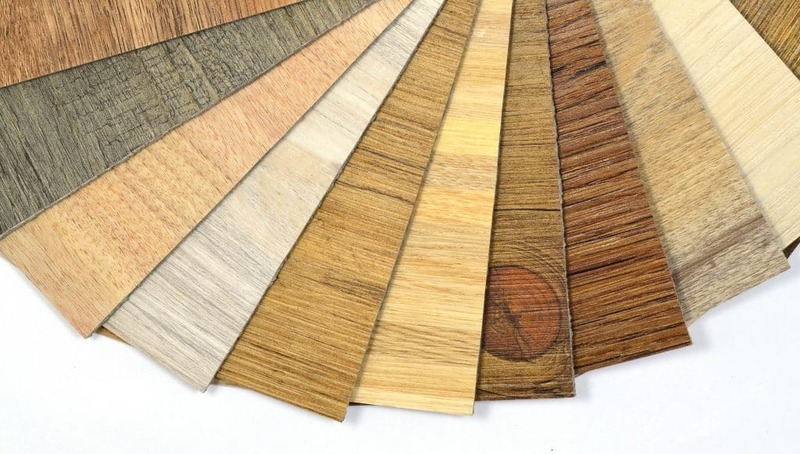 The adhesive used for these floor planks are environmental-friendly and completely safe. Plus, you have three minutes to remove and install if you get the placement wrong, so you don’t have to worry about rushing through the installation. What's not to like about CO-Z Adhesive Vinyl Floor Planks? Although I loved the specs and final result of this product, I did find that a little extra adhesive was needed for this product to remain secure. Window and Floor brand for your next home flooring project for a reliable flooring solution. US Window and Floor Classic Vinyl Plants are an affordable and durable vinyl flooring option. The product combines the realistic texture and looks of stained wood, with the long-life resiliency and reliability of vinyl planks. Available in 13 beautiful colors, this classic faux vinyl plank is the perfect solution for a variety of functional spaces. What's to like about US Window and Floor Classic Vinyl Planks? This product has tons of beautiful faux wood vinyl plank options to fit every need. Each carton covers a 36 square foot area and contains 20 planks. The final finish is attractive and durable for the price. What's not to like about US Window and Floor Classic Vinyl Planks? This product does not contain any adhesive and must be purchased separately. It is not fire or water-resistant. Vinyl flooring is a versatile flooring option. It comes in sheet and tile flooring styles, it imitates wood, tile and stone products, and it’s water resistant, so good in “wet” rooms like the bath, laundry, and kitchen. If you are thinking about remodelling your kitchen, bathroom or kid’s playroom, vinyl flooring is a product to consider. There are many types of flooring available today, but vinyl is one of the most versatile and durable of all floors. When remodelling rooms such as the bathroom and kitchen, vinyl is a great choice because of its durability when in contact with water. 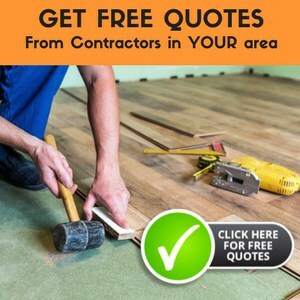 This is very important so that you are not redoing your floor frequently. Did you know that vinyl flooring has been around since 1933? This alone shows the great popularity and success that vinyl has had over the years. Vinyl made its first public debut in the Century of Progress Exposition in Chicago. Vinyl wood flooring began to be heavily marketed after the war in 1940. It quickly became a threat to linoleum manufacturers, as well as other flooring producers. At first, vinyl flooring was only used for high traffic areas. It did not take long however, for vinyl to become the number one choice for any hard surface area. Today, vinyl is second only to carpet, when it comes to choices for household flooring. Vinyl flooring has many steps regarding its manufacturing process. All vinyl products are made from a combination of vinyl resin and various additives that create the design as well as the color of any vinyl flooring. For each different type of vinyl, the additives are different. Once these additives have been combined in with the vinyl resin, the resulting material is called vinyl compound which is in pellet form. When the vinyl is in this form, the manufacturers are able to create many different forms of vinyl including vinyl sheet flooring and/or vinyl tile flooring. Vinyl Flooring is highly waterproof, so that you can turn your kitchens, baths and any kind of wet areasinto a stunning look of wood or stone with the help of vinyl wood flooring. But care should be taken that all the edges of the flooring need to be covered, so that water won’t seep in beneath the vinyl flooring surface. Installation is pretty much easy that you can do it yourself. For small rooms, you can lay it on top of your existing floor. For rooms that are slightly bigger, that is less than 270 sq. ft., you can use double sided duct tape to secure the flooring and for larger rooms that are above 270 sq. ft., glued installation provides the stability for the flooring. Also, you don’t need any special equipment’s for the installation process, as you can just use a kitchen knife to cut the vinyl planks to lay your vinyl kitchen flooring. Vinyl wood flooring not only looks good and pleasing, it is extremely comfortable and also doesn’t make any noise while you walk on. It is exceptionally quiet that you won’t feel like walking over a layer laid on top of your existing floor. One of the main advantages of vinyl flooring is that it is liked by many people as there are a lot of designs, colors and varieties available in the market. Vinyl flooring designs come in wide ranges including Wood flooring designs, stone inspired designs, concrete or metal like surface designs, etc., and also comes in different varieties with specific properties, so that you can always choose the best one that is best suited for your home. Vinyl flooring is durable and versatile. The more expensive the vinyl flooring you buy, more durable and resistant to stains and scratches your floor will be. There are many levels of vinyl flooring and if you buy the top notch vinyl, you will have the highest standard of durability. Vinyl kitchen flooring needs to be as durable and scratch resistant as possible because there is so much traffic in this room. Versatility and durability are the number one factor when looking for a new floor for your home. Vinyl can give this to you, even the most expensive vinyl is not as expensive as some other flooring, but it provides for you the same great durability and resistance. Vinyl is durable enough that using it for garage flooring is a possibility. With the advanced technology of today, there are very few cons related to vinyl flooring. The number one con is that vinyl flooring may not look as professional and expensive as real tile, for example. Other than that, vinyl flooring is pretty ideal. It is inexpensive, and you have a large variety of choice when it comes to style, texture and color. Installing vinyl flooring is fairly simple, and repairing it is something that anyone can do. When it’s time to remove old Vinyl kitchen flooring, you can consider ripping it up or just laying the next flooring choice on top of it. When you are remodelling your kitchen, bathroom or any other part of your home, consider vinyl flooring. It is an excellent choice in more ways than one. 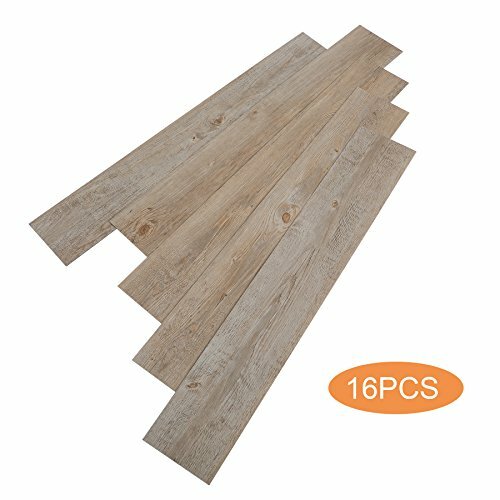 If your home or business is expecting a floor renovation in the near future, you can’t go wrong with CO-Z Adhesive Vinyl Floor Planks. This product meets and exceeds all environmental guidelines for safe and non-toxic use. Its beautiful faux wood grain finishes are made from premium vinyl and built with durability in mind. Not only does this product look great wherever you decide to install it in your home, but it is also fire, damp, wear, and mold resistant. Its stick and peel design is so easy even the most inexperienced homeowner can quickly transform their home in a few simple steps. Just don't forget to pick up a little extra adhesive to ensure long-lasting, durability!